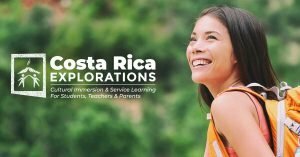 Costa Rica Explorations (CRE) specializes in authentic, cross-cultural, Spanish-immersion, community service-based, and adventure student travel programs to Costa Rica. Our experiential programs are designed for educators, teachers, coaches and/or parents who want to take an pro-active role and offer a real-life, out-of-the-classroom travel experience to their students and children, where they will be exposed to a different culture, language, and way of life. Our trips work best for middle school and high school aged students. However, we have successfully started working with graduating 5th graders from dual language immersion programs. Each individually designed program ranges in duration from 8 – 14 days. The trip’s inclusions are customized by the host educator(s) and/or parents accompanying the group on their travels. We attain our goals by incorporating three equally important components into each program’s itinerary. These elements present themselves at various points throughout the trip and are the foundation of our experiences. 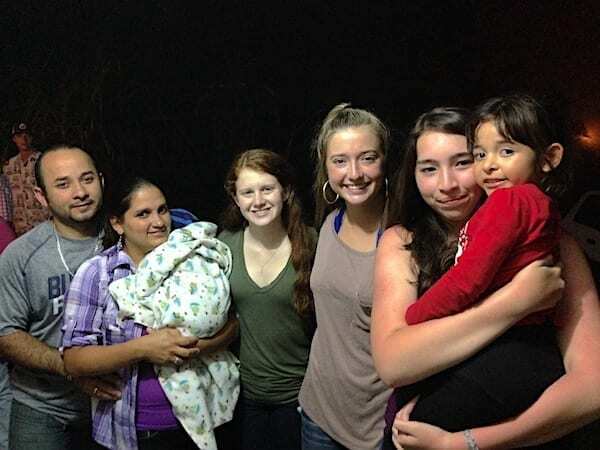 The homestay portion of our Costa Rica student travel programs is the heart and soul of a CRE experience. This element allows the students to integrate into the natural, everyday way of life in a local Costa Rican community. Students will have no choice but to practice their Spanish-speaking skills and learn about the culture and people of Costa Rica through conversations, authentic meals, family activities, and interactions. 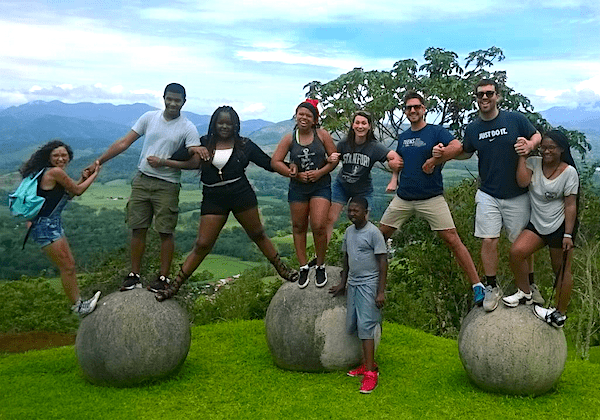 Students and Costa Ricans gain a mutual understanding and respect for diverse cultures through this experience. We encourage the majority of nights to be spent in the homestay community. Our typical program has 2 students staying together in one homestay. The homestay families have gone through and passed a rigorous Homestay Selection Process, which includes community referrals, personal visits, and interviews with our staff along with completion of a background check for adults, contracts, and recommendation letters. An important element that is included in all of our student trips to Costa Rica is our authentic service projects. We partner with local community leaders in order to identify specific needs within the each Costa Rican community where the students are living. This close interaction between the community, the students and the service project, allows for the students to experience first-hand their ability to make a positive impact in people’s lives. Take a look at examples of our past projects. 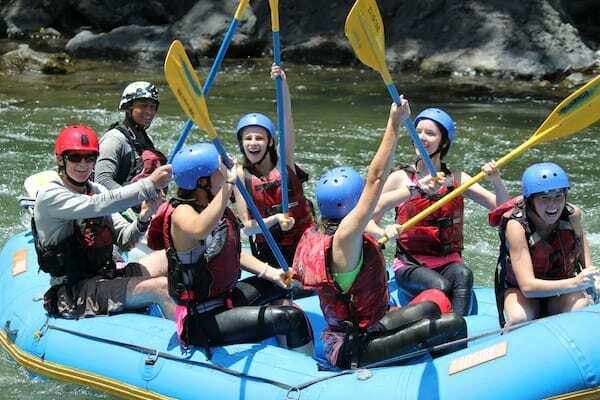 Mixed in along the way will be numerous adventure activities and educational field trips to learn more about the incredible environment of Costa Rica. This element allows for a great deal of customization by the host educator. For example, in the case that you are a science teacher and you want to focus your students on the biodiversity of the rainforest or birds than inhabit this environment, we can assist you with precisely focused activities to accomplish this. This practice applies to history and culture in Costa Rica, as well as a closer look at culture and religion and even sports and traditional activities. Our program itineraries include adventure and team-building activities in order to celebrate students hard work on their service project and to challenge students personal and group goals. These adventure activities call for teamwork and perseverance a combination of efforts that result in personal growth. Students learn important travel skills to prepare them for more independent travel opportunities in the future, such as study abroad programs after high school or during college or university. Our program model is designed to give middle and high school students a positive first experience in traveling independent from their families in a controlled, safe, and supervised environment. Reflection is a key component to learning. We value daily personal and group reflection in order take the time to soak in our daily lessons and observations. These reflective moments key to evaluating and redefining our goals are woven into each of our program itineraries. The End Result…Individual Student & Group Development! Our student travel program model challenges students and teachers to step outside of their comfort zones. Depending on the participant, this may happen while completing the service project or during a homestay experience. It could occur during a team-building activity or while participating in an adventure activity. Perhaps it may happen when Spanish skills are essential in order to navigate a new town. Whenever it may occur, students and teachers are encouraged and supported by their professional guides and their own group members to work through the challenge. This is the real-life learning, the “magic”, that takes place during our educational student programs. Students return to their homes with an increased self-confidence and self-esteem. They become feel stronger and are more knowledgeable individuals. Alumni students and teachers tend to be more accepting of themselves and those around them. They gain new perspectives of themselves and what they are capable of accomplishing in the world. Our hope is that they become our future global leaders. We coordinate privately contracted itineraries for groups. We do not offer open-enrollment trips. Our focus is on collaboration between our organization and the school or educational system/program with which we partner. 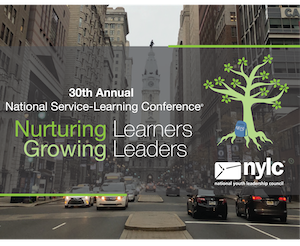 We strive to nurture long-term relationships with the schools and educational organizations that we work with in the hopes that not only individual relationships develop, but that a bond between communities also forms and is nurtured over time. Every group that inquires to work with us must have an adult who will act as the liaison between the group of students/participants and CRE. This adult will partner with CRE to coordinate the group of students by marketing the trip and organizing the students’ paperwork for their participation. We provide all of the necessary paperwork and support the organizing adult/host teacher through the planning process. The goal is to make organizing an international student travel program as easy as possible so that the educator can communicate the information to interested students, parents, and organizational decision-makers with ease. All of our Costa Rica student travel programs are designed around a well-established curriculum within proven and safe homestay environments located in the mountains of the scenic and peaceful town of Turrialba, Costa Rica. Our sample itineraries are merely a starting point for us to collaborate and work from. We encourage the host educator to assist within the planning process as much as she or he wants. 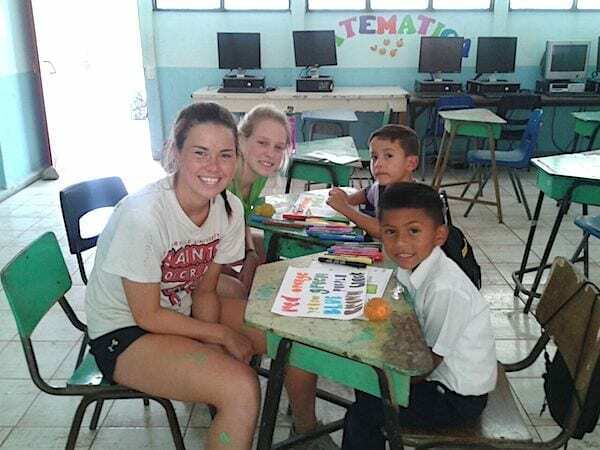 Our programs are meant for those who would like to travel abroad to Costa Rica and improve their Spanish-speak skills while volunteering to help the citizens of Costa Rica in an authentic community service project! We work side-by-side schools and organizations to customize a student travel trip that fits the unique needs of your group. Ready to Plan a Costa Rica Student Travel Program? Contact Us!